I have just returned from a trip to Taiwan organised by Shuang Hor company. The main objective is to provide an opportunity for us to see with our own eyes and evaluate for ourselves whether the representations by the company are indeed accurate. For the consumers, they can develop more confidence in the safety and effectiveness of all Shuang Hor's products, regardless whether they are taking to maintain their health, protect their body organs or to handle serious illnesses and diseases. 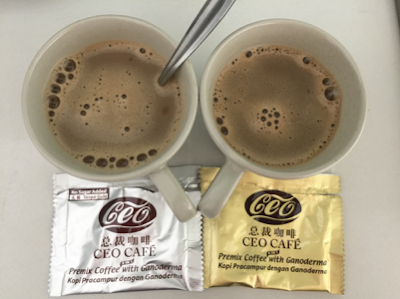 For the business leaders who are partnering with Shuang Hor, they can reinforce their belief that they have made the right choice - Shuang Hor is a genuine business opportunity, has a long-term vision and a transparent marketing plan that works, together with a solid management team who have integrity and promote positive values. Friends from 4 countries (Malaysia, Singapore, Indonesia and Myanmar) gathered together to tour Shuang Hor's Greenhouse Farms and Factory. We were very privileged to be hosted by Dr Chen Deng-Hai himself. This very busy man is a PhD doctor and a world authority figure on Lingzhi. He is a key figure in spearheading Lingzhi research for many decades and has published many papers on this subject. This is my third visit. Each time I go, there are always new developments to see. The company has a new R&D Centre now, the scientific knowledge continues to improve with new products launched, there is advancement in technology, the number of greenhouses has expanded, the number of precision equipments and laboratory apparatus have also increased - all to accommodate the ever growing demand of existing and new markets. I shall let the Photos do the talking. Click on this link, scroll down, and let the tour begin.. Please email me at askfuiping@gmail.com if you want to buy Shuang Hor Lingzhi or partner me in Shuang Hor business.